Come out and support our school and get some awesome books! It starts at 10am and ends at 4pm. Volunteers are needed! Only one slot is fulfilled right now. Click here to sign up now. There will also be a craft fair and bake sale. The bake sale proceeds all go to the 6th Grade Outdoor Education Fund which will be determined by the 6th grade teachers how it is used. If you want to donate baked goods to the bake sale please bring them to the MPR by 10am on Saturday the 13th of December. 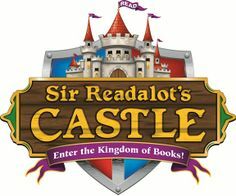 You may purchase books online from December 7th to December 27th to benefit our school’s book fair. Click here to purchase books now. There will be no Science Night December 11th. It will be rescheduled at a later date. December 19th: Last Day before Winter Break / PAJAMA DAY!! !